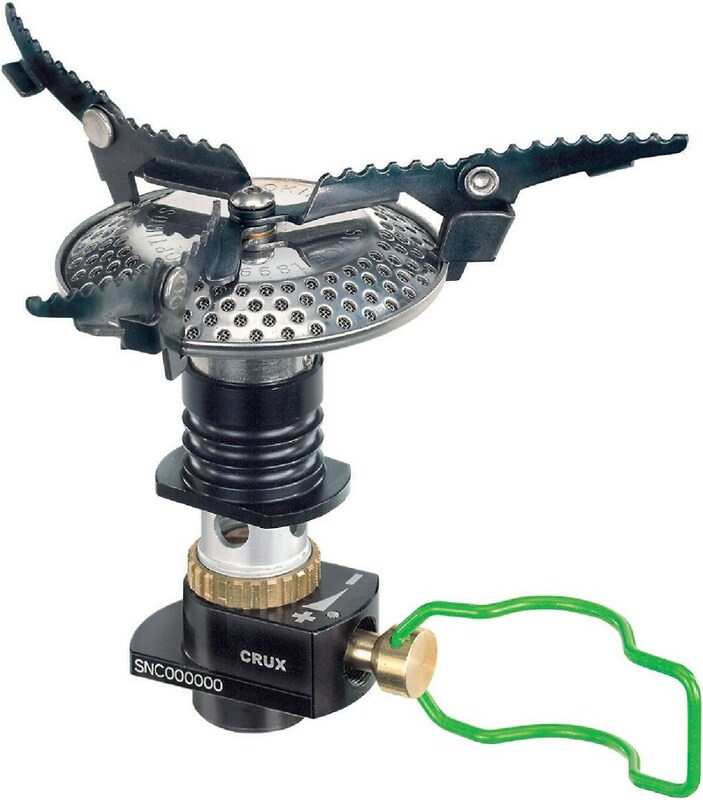 The Crux Lite is also sold as the Optimus Crux Lite with Terra Solo Cook System. I thought I would throw my hat in the ring and review this stove since it does not have one yet. Being 16 I'm not a real gear head like my dad (my hiking partner) is. But, since I like cooking and have been creating my own trail cooking website, I do play around with the various stoves, posts, windscreens and other assorted items. 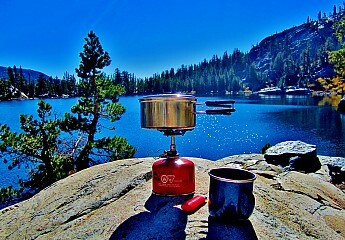 We bought this stove as a replacement to one of our MSR Pocket Rockets. 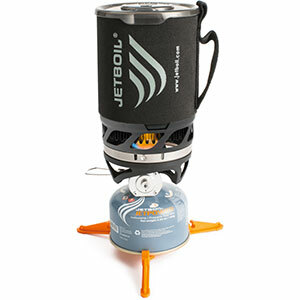 We were tired of the jet blast flame and unstable pot supports of the Pocket Rocket and recently bought 3 different models to play around with, including the Crux Lite. The Optimus Crux Lite is different than the Crux in that it does not fold over like the Crux, but it is still small enough to fit in most of my pots for packing. I really like how the Crux Lite has a wider flame pattern. The wider flame pattern I think helps when doing real cooking. My largest gripe about the stove is the flame adjustment. It is very touchy. I have been in the past that the stove is "optimized" for regular butane/propane canisters instead of Isobutane. We found either canister made no difference with regard to the flame adjustment. Still, with a little practice and a light hand, you can get it adjusted for simmering and be able to do so every time you use it. It's just touchy at first and you have to get used to it. The pot stand arms look small but they grip our pots and frying pan very well. Overall, very happy with the stove but because of the flame adjustment, giving it only 4 stars. It weighs 2.3 oz and boils water in 3 minutes flat. It weighs 2.3 oz and boils water in 3 minutes flat. 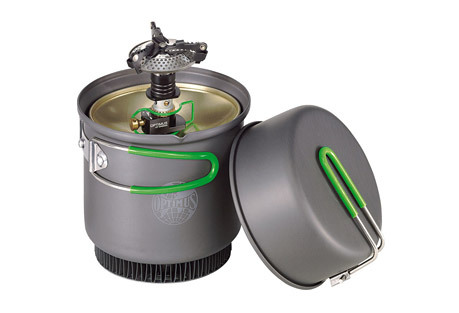 What's not to love about this micro stove? So some complain about the lack of flame control etc. Thing is that the canisters of isobutane are what change as the fuel flows and canister cools, the rate of feed fluctuates. You will even see condensation build up on the can, don't blame the stove. I screw mine onto the fuel canister, crank it on close to full blast, and wait 3 minutes and I have 2 cups of boiling water. I have used it over 10k foot elevation and in snowy 20 degree conditions without fail. Even in breezy conditions I was fine without a wind screen. Recently at home I did a test at sea level. I boiled 2 cups of cold water 10 times, back to back and weighed the stove and canister each time. It averaged out to .20 oz of fuel per boil which would equal out to 40 boils from one 8oz MSR Fuel Canister if I was camping in my house. lol. I'll lowball it and say 30 boils in the mountains, but that will be determines on the JMT later this month. This is going to be my 3rd year with this Crux Lite and with over 120+ boils, it isn't showing any signs of slowing down. This packs down into a 2 cup Ziploc bowl that I store in my pot and is ridiculously easy to set up or take apart. With the big 8oz or 227gm MSR fuel canisters, this is a pretty stable platform to cook on. I haven't tried the mini 4oz fuel cells, but would assume accidental spills would occur based on how small the base area is. For $30 you can have this pocket jet engine to whip up meals in a matter of minutes. Two cups of water is enough for a cup of joe and oatmeal, or pasta and hot cocoa. Small, not expensive, with plenty of heat. I chose the Optimus because the platform for holding a pot is larger than other brands, making it less top heavy. Everything about this stove ranks near the top. 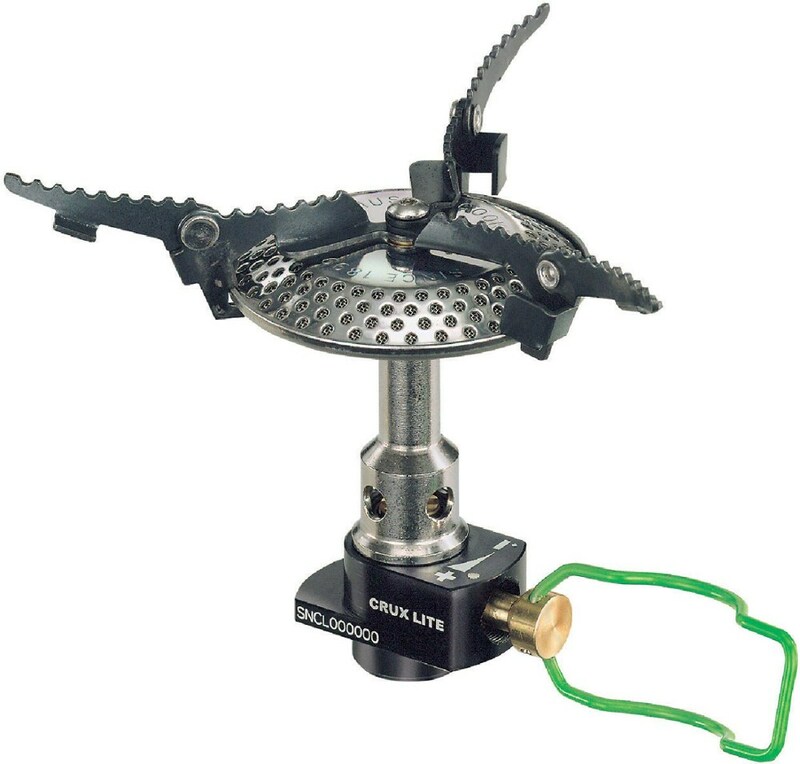 It is small, not expensive, easy to use, is not top heavy, and the flame control works well for a canister stove. In the wind there is some benefit to setting it up behind a wind break or making a windscreen. It is very light and dependable. I have used it on my boat during winter fishing trips. Thanks for the review, ppine! Very light, very small, very fast boil time. Has some adjustment to flame. We use this to boil water in a GSI kettle (looks like the Optimus kettle). It is very fast. The stove fits inside the kettle for storage. We also make espresso with a small stove-top Italian espresso maker. 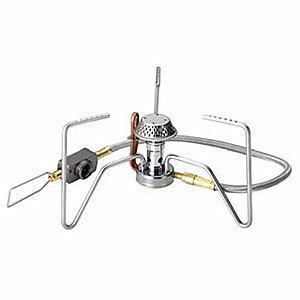 It works great for that as the maker has a small diameter and doesn't work well with our other stove. We start it with a fire steel—starts one strike, no problem. Our pots have grooves in the bottom. This stove has teeth. Grips pots well. The flame on this is a beast. It does adjust to very low, but is touchy to adjust. Not a problem when you get used to it. I got a windscreen at MEC for some other brand stove that works well. It's a small ring that goes on the very top. Be very careful if you use the screens that are the large foil ones. The tank gets hot very fast and pressure builds very fast. It looks and feels very durable. Time will tell. We have only used it on maybe seven back country trips. Once on the West Coast Trail. Don't expect any problems. We now take it whenever we take our DragonFly stove and have dual stoves going. It crushes at boiling water and making coffee. Thanks for the review, Shannon. Lightweight powerhouse that's small enough to forget it's there. 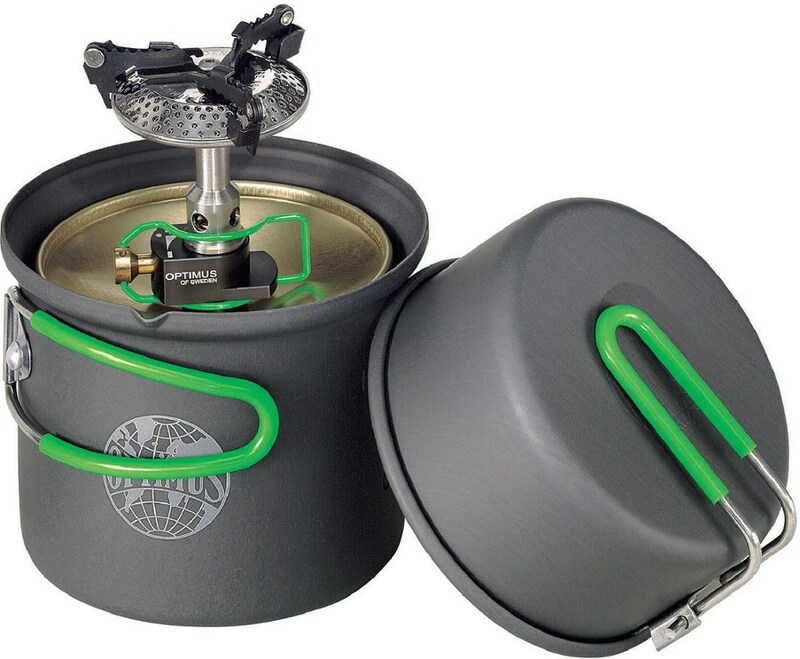 Picked one of these up as an alternative to my alcohol stove for the occasions when I want to do more than just boil water. It is TINY! Even though it's not a folder (a la original Crux) it takes almost no space in my cook kit. The build quality seems to be quite nice overall with nice castings and clean threads. The flip out pot supports are stiff but sturdy. This is a powerful little guy! Boils water in my Snow Peak 900 in about 6min. The burner head is quite beautiful and puts out a very broad, evenly distributed flame. I use Ti pans which are scorch and hotspot prone but it seems that the broad, even flame helps with this a tiny bit. Similar in design to the Soto unit. On my unit there are 2-3 ports that never seem to get fuel. Not sure if this is a manufacturing issue or the got clogged at some point but as I remember they were that way since day 1. Has zero effect on the stove's capability. This stove does really well in the wind. I've yet to have it blow out on me however, it does have an annoying tendency to turn itself down. This makes cooking anything at a simmer a big pain in the bum as you will have to babysit it or it will turn itself off. Doing some reading, it appears that mine is not an isolated case. It's not really an issue when running it wide open. This stove has 3 pot supports as opposed to 4 on a stove such as a Giga-Power which may make it a hair easier to tip your pot but I have not had any problems to date. I've used this stove for approx 1 year and I have to say I like it!. It has a few shortcomings but nothing that has really bothered me. It is a great stove at a great price. This stove is very compact and lightweight. It lights easily and burns consistently. 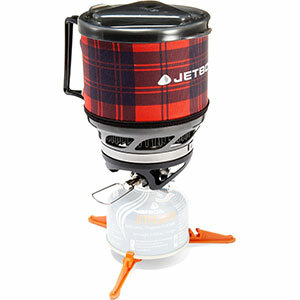 I recommend it for any backpacker who wants to travel light and boil water! It lit first try. Flame Control was great. I only boiled water with it, but it was very responsive until the low end of the flame. The stove set up very easily and balanced very well. I used a 750 mL cup on it and had no tipping issues. The stove packed away in the same cup very nicely with all kinds of room to spare. Boil time was true to spec. Although I was not in wind, I would imagine a wind screen to be a benefit in windy conditions. I haven't burned through a complete canister yet. We boiled for 3 meals and two cups of hot chocolate and couldn't tell a huge difference in the weight of the canister. This stove was perfect and it seems to be of quality construction and I would expect a good lifespan from it. Also sold as the Optimus Crux Lite with Terra Solo Cook System.